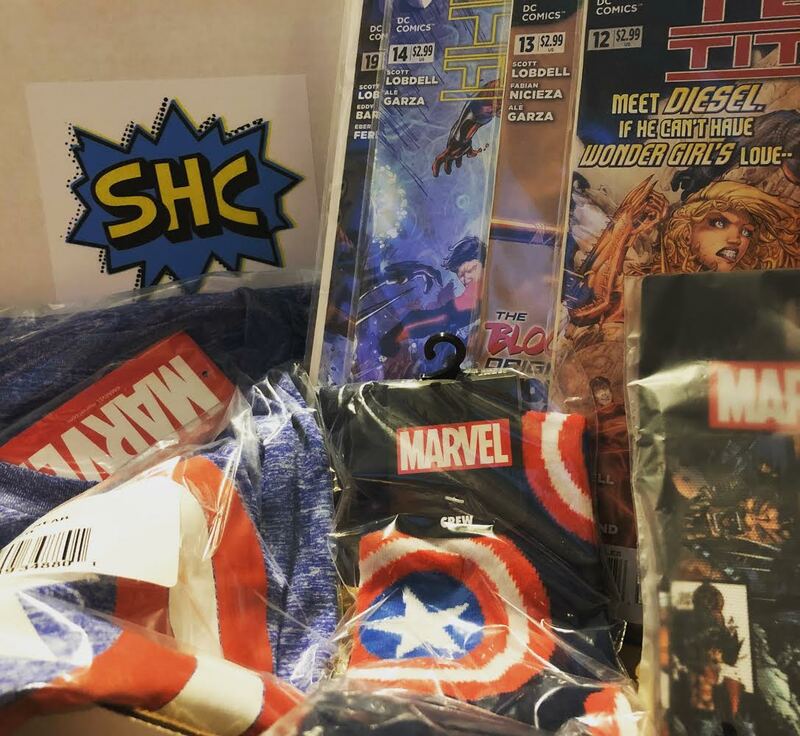 The Ultimate Box will contain a t-shirt, at least two back-issue comics (boarded & bagged) or a graphic novel, and other related products. Retail value of at least $40. 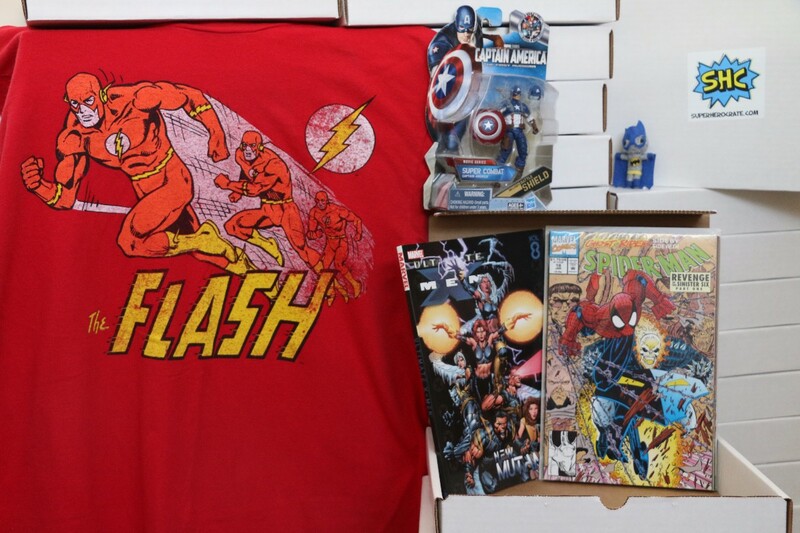 The Showcase Box will contain a t-shirt, at least two back-issue comics (boarded & bagged), and other related products. Retail value of at least $30.